The Joint Japan World Bank Scholarship Program (JJWBGSP) has for over 30 years provided funding to financially-strapped, promising mid-career professionals from and working in developing countries who are admitted to one of a set of pre-selected master’s degree programs. As such, a key mandate of the JJWBGSP Secretariat, which is housed in the World Bank, is to ensure that JJWBGSP offers a set of high quality / cost-effective master’s degree programs that traverse a wide range of emerging development topics. With the goal of better understanding current market supply conditions, the World Bank is issuing a voluntary Request for Information (RFI) to accredited universities offering master’s degree programs on development topics, noting that the deadline for submission is FEBRUARY 20, 2019 @ 11.45 PM EST, and the link to the RFI announcement is provided below. Information acquired through this RFI could help inform the JJWBGSP’s administration, particularly if the World Bank decides to prepare a subsequent solicitation (Request for Proposal) to identify a new set of master’s degree programs that would be eligible to receive JJWBGSP scholars who would begin their studies after June 2020. 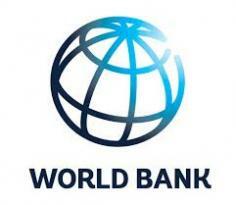 Link to the RFI Announcement: http://www.worldbank.org/en/about/corporate-procurement/business-opportunities/administrative-procurement/the-world-bank-scholarship-program. Universities willing to participate in the RFI will have to directly write to the World Bank’s Procurement Unit, per the instructions provided in this announcement, to request a copy of the RFI and associated required documents. For any questions about the RFI process, contact our Corporate Procurement Office, per the guidance in the RFI announcement linked above. For information about the JJWBGSP Scholarships Program go to: http://www.worldbank.org/scholarships. For JJWBGSP Scholarship Program-related inquires specific to this RFI, send an email to jjwbgsp@worldbank.org.